Welcome to the sixth edition of the Money Minutes for Doctors podcast! In this edition we discuss the IRA. Chances are you have heard of the "individual retirement account", but what does it really mean and how does it affect your retirement strategy? 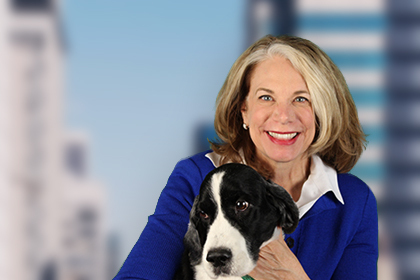 This month Ms. Katherine Vessenes, JD, CFP®, RFC, Founder and President of MD Financial Advisors, discusses the benefits of the IRA, how to choose the right type of IRA for you, and how to utilize it for tax efficient investing. IRAs first became available in 1975 as a way for Americans to save money for retirement in a tax deferred way. 1. You, or your spouse, must be working in order to contribute. 2. Your contribution is limited to the amount of your earned income or the annual limits, whichever is lower. b. Amount is increased periodically to keep up with inflation. 5. IRA accounts are held at custodians. This could be a bank, like Bank of America or Wells Fargo, or an investment company/brokerage firm like Fidelity, Vanguard, or TD Ameritrade, to name just a few. 7. Transactions in the IRA, including any interest on the bonds, dividends on the stocks or capital gains, are not subject to any tax while still in the account. However, once you start making withdrawals from the account, you will owe both Federal and State Tax (if your state charges a state tax) on the withdrawals. 8. You can have more than one IRA account and it is not unusual for us to see doctors with numerous ones held at different institutions. a. Usually it is best to combine all of your IRAs into one account and use a consistent investment philosophy on all your investments. 9. Once you are 70 ½, you are required to start taking withdrawals from your IRA and pay tax on them. a. The RMD is set by statue and increases as you get older. 10. Can do rollover from an “old” 401-k or 403-b (usually from prior employers) into an IRA. a. This is not a taxable event. b. Almost always recommended b/c (1) usually have better investment options in your own IRA (2) usually have lower fees and (3)helps consolidate your investments making them easier to manage. As with any investment, there are pros and cons to using an IRA. Here are a few items all physicians and dentists should consider before using these vehicles. 1. The earnings or growth inside the IRA are not taxable until withdrawn. 2. An IRA is protected from creditors, which is an important consideration for our doctors who are concerned about asset protection strategies. The levels of the protection vary from state to state. 3. Current IRS rules allow you to convert an unlimited amount of funds in your IRAs to Roth IRAs. 1. Withdrawals are subject to ordinary income tax rates in the year of distribution, on the entire amount of the distribution. 2. IRAs cannot be used as collateral for a loan. 3. You cannot borrow from an IRA. If you do, it is considered a taxable event. 4. The size of an IRA account may mislead some doctors into thinking they are far wealthier than they really are but remember you still need to pay taxes on this money! 5. There are major penalties if you pull the funds out before 59 ½: There are some nuances so use a rusted advisor to help you make these decisions. 6. Leaving your IRA to your children or other individuals is not as generous as you may think due to tax liabilities! 7. If you do convert your IRA to a Roth, the taxes may have to come from another account if you are under the age of 59 ½. If you are over that age, you can deduct the taxes from the IRA as you convert. Takeaway: One thing doctors should notice from this article is: this simple retirement tool, is anything but simple. If you are a doctor who has an IRA or is considering investing in one, we recommend getting good, solid advice from an experienced expert, and I don’t mean calling the help desk at your custodian! Those help-desk folks are usually kind, dedicated individuals, but they haven’t had the training necessary to give a doctor the kind of advice they need for a complex situation.